Slamming the Congress for questioning the government over the Rafale fighter jet deal, PM Modi said that the Congress wanted to “block Rafale’s entry in India”. 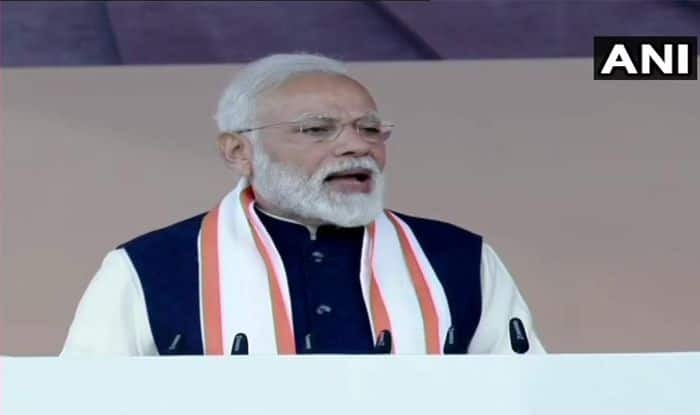 New Delhi: Prime Minister Narendra Modi on Monday launched a scathing attack on the Congress and erstwhile UPA government over the delay in the construction of a war memorial and the Rafale fighter jet deal. “The demand for a National War Memorial has been there for many decades, in the last decade there were one or two attempts but nothing concrete could happen, with the help of your blessing we started the process in 2014,” said PM Modi. “Earlier there was just the name of one family was associated with almost every project in the country. The difference between India First and Family First is the answer for this,” he added. “But when the country’s first Rafale flies for the first time in India’s skies in a few months, it will end all their conspiracies,” the Prime Minister said. The Congress and its chief Rahul Gandhi has been alleging wrongdoing and corruption by the Modi government in the fighter jet deal. But the Centre has vehemently refuted the allegations.